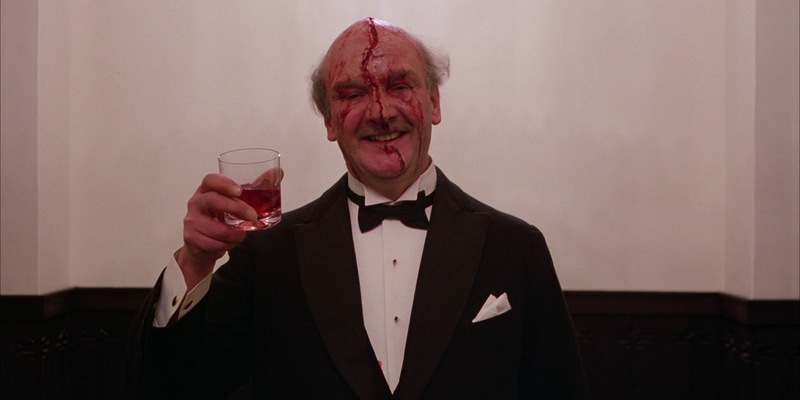 Horror movies are hardly running short on stories set inside haunted houses, but Stanley Kubrick's The Shining, based on Stephen King's novel of the same name, is the crème de la crème of this particular subgenre. After Jack Torrance (Jack Nicholson) takes on a job as the winter caretaker of the isolated Overlook Hotel in Colorado, he takes his wife Wendy (Shelley Duvall) and son Danny (Danny Lloyd) along with him. However, instead of using his free time to finish the novel he's been working on, Jack begins falling under the spell of the hotel's supernatural pull - a malevolent force that isn't just attempting to kill the Torrances, but feed on Danny's unique psychic ability. "Body horror" is a subgenre unto itself in the world of horror, with movies like The Thing, The Fly, and Scanners fitting into that mold, and novelist/filmmaker Clive Barker pushed the limits within this subgenre with Hellraiser. After a portal to Hell is opened, courtesy of a puzzle box called Lemarchand's Box, creatures known as Cenobites - led by the soul-destroying Pinhead - unleash a course of a horrific events when one of their victims manages to escape their torturous underworld and feed on the living. Leather-clad torture and sadomasochism ensues. In Cube, isolation and confusion are the key sources of horror in which a group of strangers wake up in a strange prison-like structure. Driven by fear and anxiety, these strangers do what they must to not only figure out how they can escape, but how they got there in the first place. Unfortunately, the cubes also happen to be booby-trapped, and survival is hardly a guarantee. Directed by Vincenzo Natali, who is currently in production on the Netflix adaptation of Stephen King's In the Tall Grass, with Patrick Wilson, Cube has earned cult status over the years. Author Anne Rice has crafted a career around romanticizing the supernatural, and her novel Interview with the Vampire - adapted by director Neil Jordan - is a quintessential example of this. 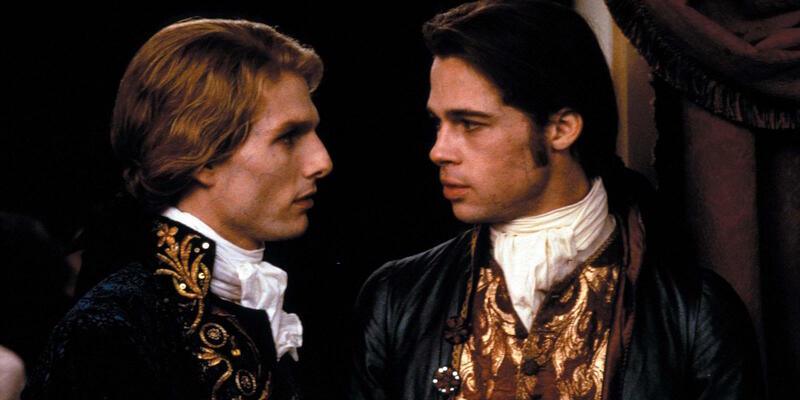 It follows a 200-year-old vampire named Louis (Brad Pitt) who tells the twisted tale of his immortal journey through life alongside the violent Lestat (Tom Cruise) to a curious reporter (Christian Slater). Interview with the Vampire was pure pop-horror when it was released in 1994, twisting the romantic nature of vampirism into a soul-sucking curse. The movie also stars Kirsten Dunst, Antonio Banderas, and Stephen Rea. In M. Night Shyamalan's The Sixth Sense, nine-year-old Cole Sear (Haley Joel Osment) is tormented by some unseen force, but no doctor can pinpoint a clear diagnosis. However, when child psychologist Malcolm Crowe (Bruce Willis) intervenes, he discovers that Cole's delusions - an ability to see and speak with ghosts - might actually be real. The Sixth Sense held the title for the highest-grossing horror movie until IT was released in 2017, and it's still a treasured ghost story that is best known for its twist ending. Instead of centering around ghosts or demons, David Fincher's Se7en is a murder mystery exploring man-made horrors inspired by the seven deadly sins. It follows nearly-retired detective William Somerset (Morgan Freeman) who pairs up with the much younger David Mills (Brad Pitt) as they attempt to track down the film's elusive culprit, confronting one horrific crime scene after the next. Though this movie feels more like a police procedural than a horror movie, its graphic nature steers it closer to the latter.